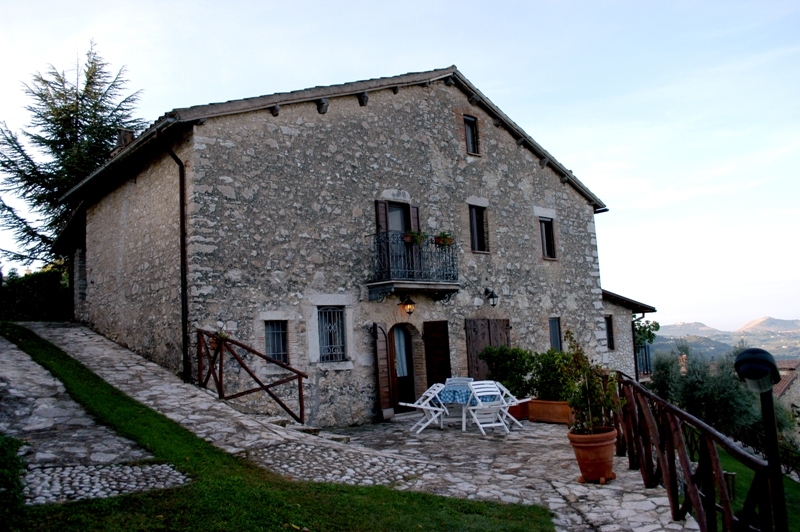 Colle Cesoni is an 18th Century hamlet (560 m. above sea level) consisting of three buildings where four cosy self-catering apartments are available for quality holidays renting. Privacy and tranquillity are perfect. Amid the enchanting scenery of the uncontaminated forested Sabine hills, the only sounds you tend to hear are the birdsong and the chorus of crickets. Each apartment is independent from the other, with breathtaking views of the Farfa and Tiber Rivers Valley and original old stone structure, terracotta floors, wooden ceiling beams and fire places. Like any historic rural building in the Sabine region, the apartments have thick walls and small windows and are naturally cool in Summer and warm in Winter. Each apartment is comfortable, fully equipped (from SAT TV & Internet to matches), decorated in rustic-looking elegant way with traditional Sabine country antique furnishings - and has a private furnished garden, equipped with barbecue grill, perfect for an al fresco dining. The shared swimming pool is set in an elevated position, with panoramic views of the valley and the Sabine hills. 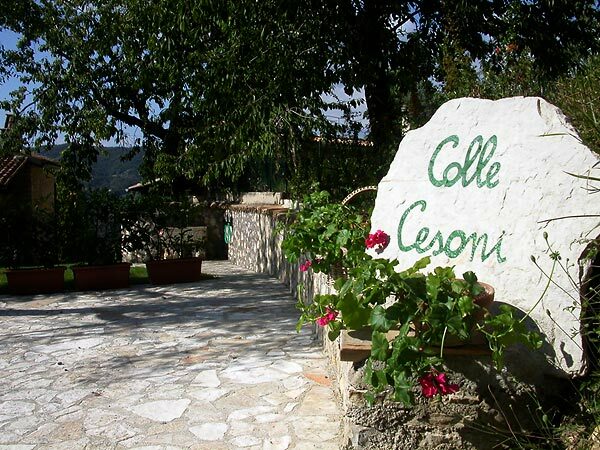 Colle Cesoni is an ideal spot for experiencing a taste of the old Italy and typical local cuisine, reading, sightseeing, trekking, walking, bird watching, mountain biking and horse-riding. 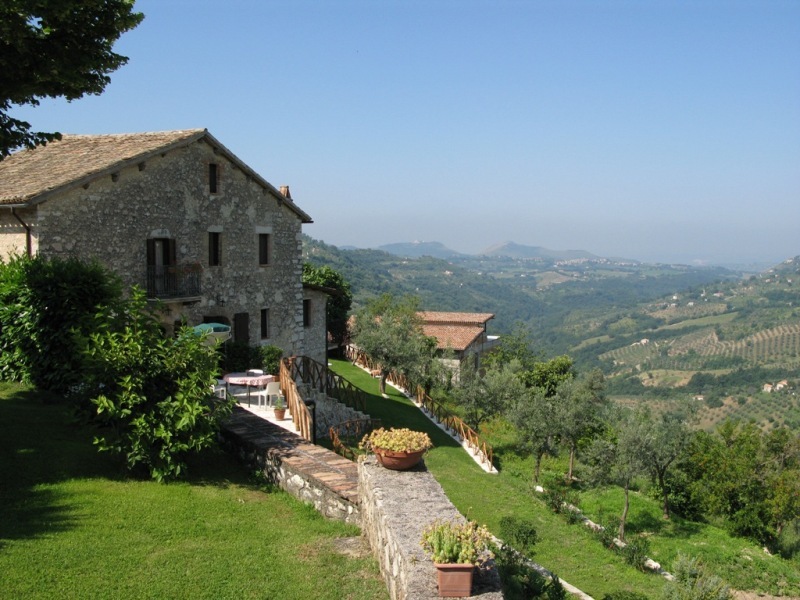 Casaprota, a beautiful, unspoiled hilltop medieval village, is just 400 mt. away. Rome is at 50 minutes drive. From here, within one hour's drive, you can reach the most important artistic sights of central Italy, such as Rome, Tivoli, Viterbo, Tarquinia, Spoleto, Orvieto and Assisi. 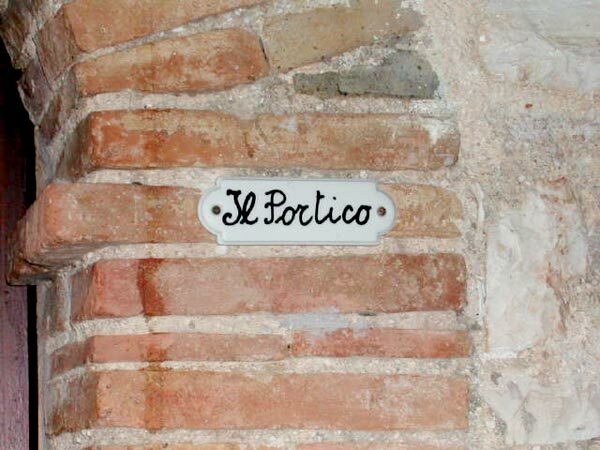 Facilities: Private restaurant; English, French, Spanish spoken. The attentive service and the warm hospitality guarantee a very special stay.